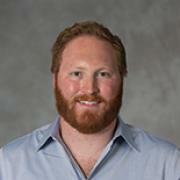 Ben Althouse is a Research Scientist at the Institute for Disease Modeling Omidyar Fellow at the Santa Fe Institute. He holds a PhD in Epidemiology and a Master of Science in Biostatistics from the Johns Hopkins Bloomberg School of Public Health where he was awarded an NSF Graduate Research Fellowship, and holds Bachelor of Science degrees in Mathematics and Biochemistry from the University of Washington. His previous work has included mathematical modeling of sylvatic dengue virus transmission in nonhuman primates in Senegal, examining the role of antimicrobial use on the evolution of drug resistance, using Twitter as a model system of co-infection dynamics, and using novel data sources (such as Google searches, Twitter, and Wikipedia article views) for population-level surveillance of infectious and chronic diseases. Ben is an Affiliate Faculty member in the Department of Biology at New Mexico State University, Las Cruces, and an Affiliate Assistant Professor at the Information School at UW.